For our first visit to North Carolina and relatively little planning involved, things turned out amazingly well. 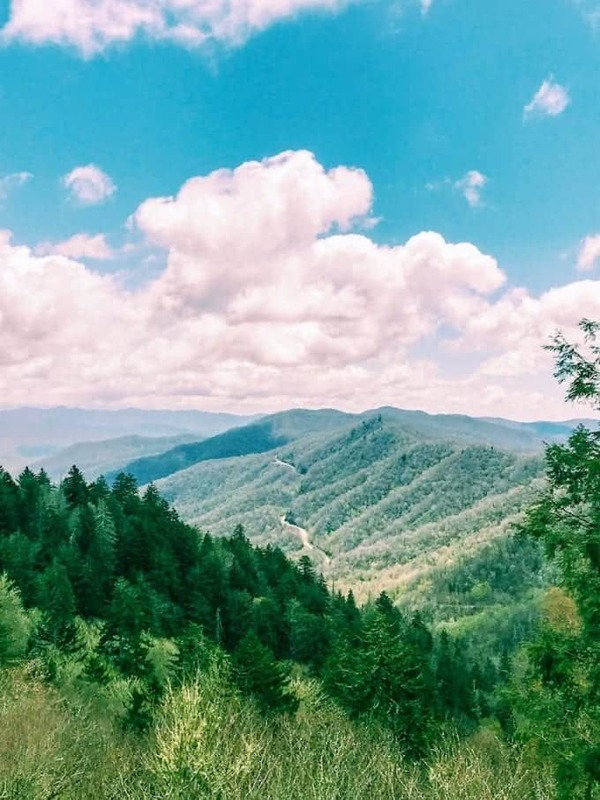 This beautiful state handed us a fantastic (but brief) introduction and left us thirsting for more after just a taste of Great Smoky Mountains National Park. 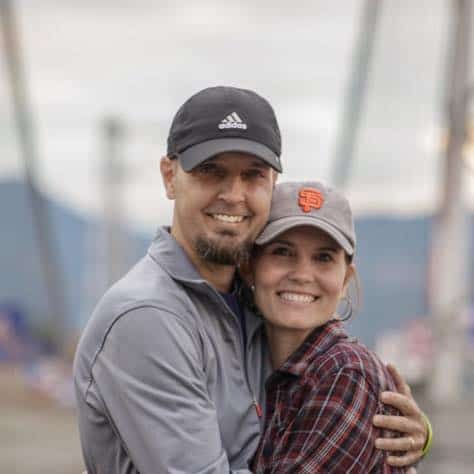 Watch TREKKN Episode 1 featuring the Great Smoky Mountains, Ziplining and more…. Things Don’t Always Go As Planned. And That’s Good. The funny thing is this: my main objective in picking an RV park about 30 minutes west of Asheville was actually to visit Asheville. Weird, I know. We had wanted to get to this quaint city for many years and had never found a way. But that’s not how things played out at all. Don’t misunderstand me: there’s nothing wrong with Asheville or the attractions you will find nearby (Biltmore Estate, etc.). Nothing wrong with it at all. But it didn’t call to us. We longed for the wild. 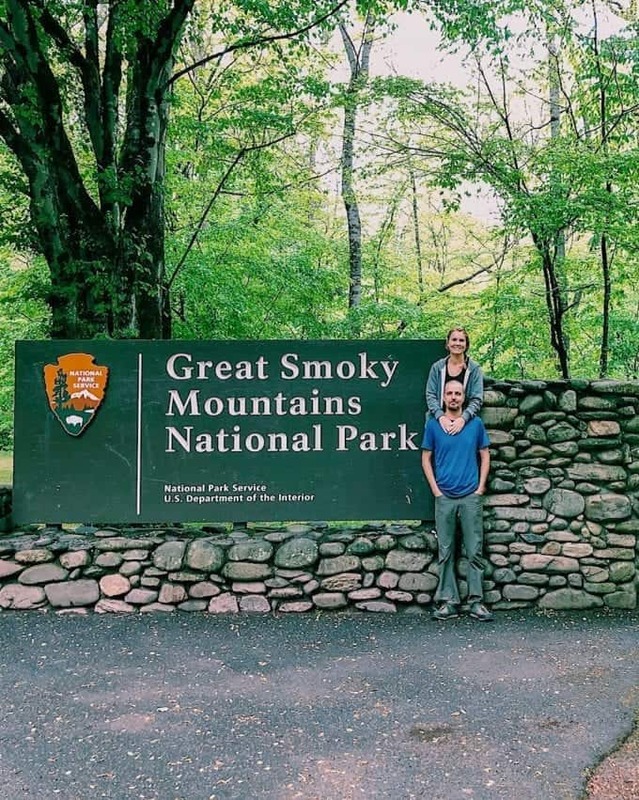 Great Smoky Mountains National Park Costs How Much?! Enter the national park. For our first day rolling into Great Smoky Mountains National Park, we came completely and utterly unprepared. We just knew we had to get there. First off, we discovered that this is the most visited national park in the country…and it’s also FREE! What?! We’ve been to many national parks over this past year of travel, and this is the first free one that we have enjoyed. So, if you needed it, you have one more reason to make your way to this stunning, emerald escape. As our truck climbed its way through the fog and haze up to the summit of this national treasure at Clingmans Dome (elev. 6,644 ft), the atmosphere kept us completely mesmerized. The thick haze continually shifted and transformed the landscape and the view at every turn. When we hit the dome and stepped out of our truck, the 20-degree temperature drop and strong winds penetrated our thin layers. Immediately. It was the best kind of pain! Our lack of adequate clothing didn’t dampen our spirits one bit. We soaked in as much as we could of the gorgeous surroundings at the peak before deciding to come back better equipped the next day for a heart-pounding hike. 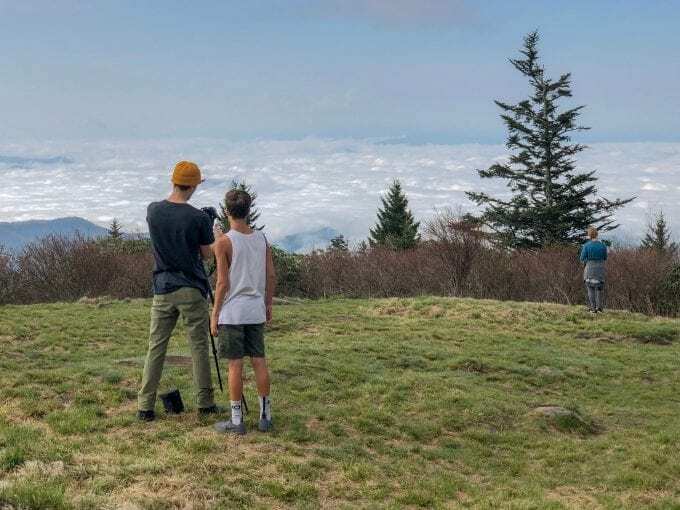 Josiah, our oldest son and the official “trail whisperer”, tracked down a reasonable trek that would suit all of us: 3.8 miles round trip to Andrew’s Bald (elev. 5,906 ft). 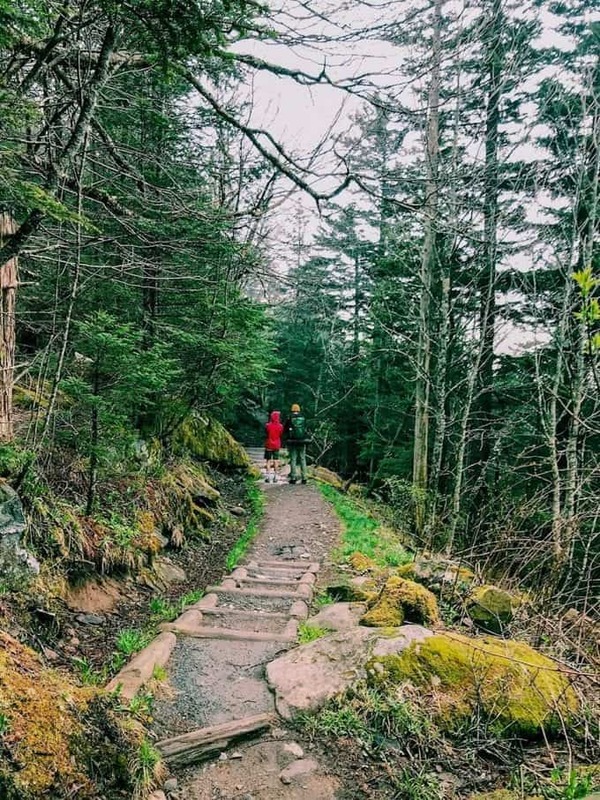 The trailhead sat right on the edge of Clingman’s Dome parking lot and the terrain was relatively tame, but the trail did not disappoint…and neither did the drive to the hike along a scenic section of the Blue Ridge Parkway. Wow! Lush green carpets of moss and other vegetation greeted us almost immediately as we struck out on the trail with snacks, fluids and camera/film gear in tow at about 7:45 am. We were up at 6 am to get this early start and it was absolutely worth it from the first step. Well-manicured trails, with several sections of wooden steps that made for fantastic pictures, led us quickly toward our destination. The terrain was about 3/4 flat or downhill on the way there, but we still needed a good fueling when we arrived at the open viewpoint. Our return trek got hearts pounding and sweat pouring a bit more as we faced the steps heading uphill instead of down. Still, the trail was very manageable for trekkers of just about any age if you have a bit longer for the outing. It’s a great introduction to the wild side of this national park. A couple of excursions into this national park barely even scratched the surface of this North Carolina wonderland. We could have easily stayed in the area for at least a couple of weeks to get the full experience. But travel plans kept us moving along as our daughter prepared to finish up her sophomore year of college in Texas and join us in Charlotte for a summer of adventure in the East. 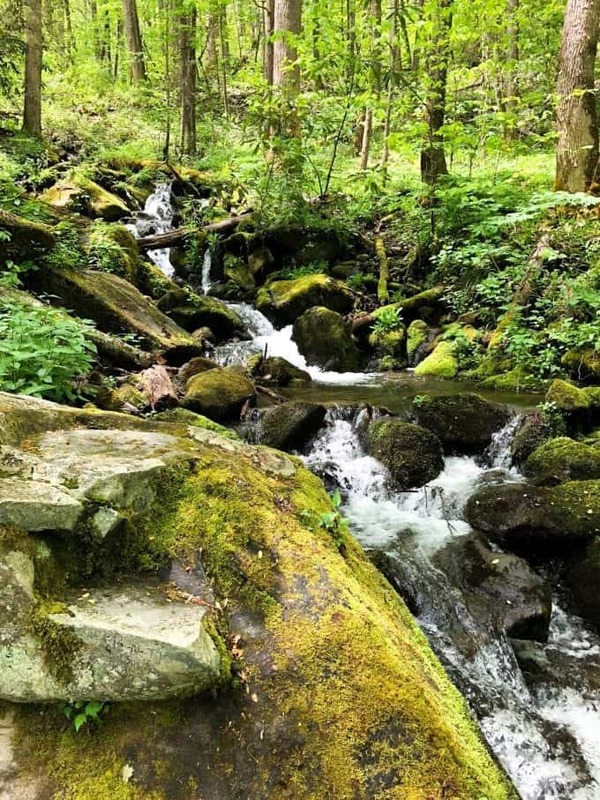 As a destination for outdoor family adventures, Great Smoky Mountains National Park in the Spring will absolutely check all of the boxes and give you far more natural wonder than you could possibly imagine. 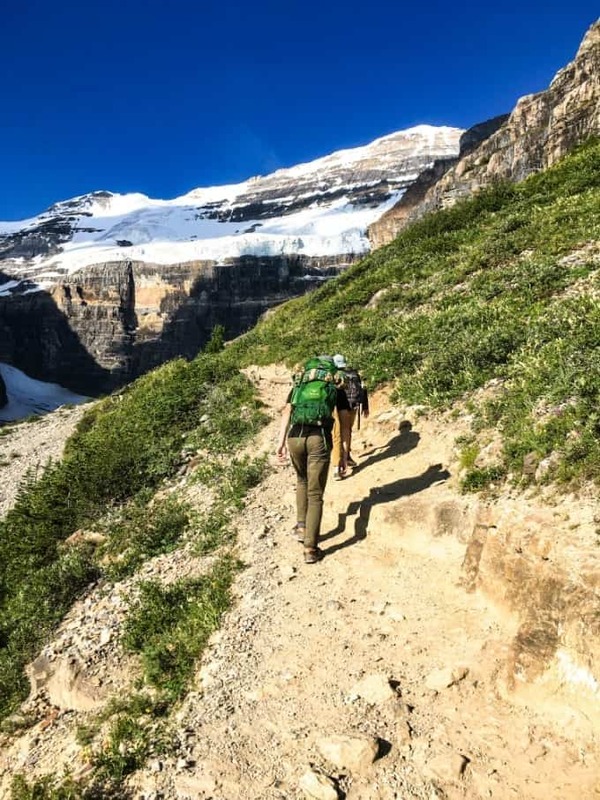 This family adventure destination is near the top of our list to return to, and we highly recommend you put it on your “to experience” list as well!